A set of bridges for our Samurai range is underway at the moment, and will contain 4 different bridge types for any type of feudal-era Japanese setting... and in fact they would also work up to present day settings, as you still see these bridges today in Japan! 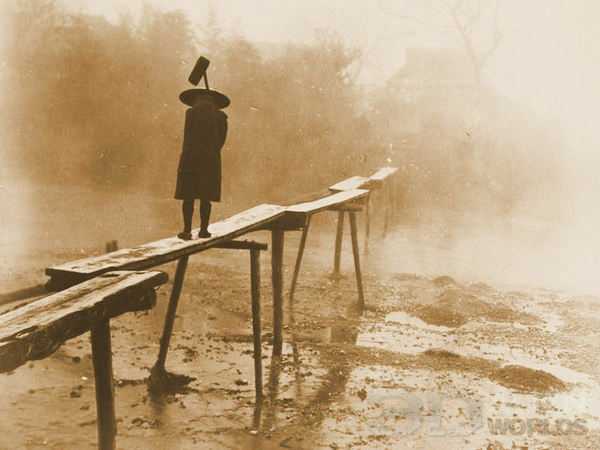 ▲ The first bridge type is a plank bridge for peasants, inspired by this wonderful old photo! Roughly cut planks are just laid across log supports, and these bridges are typically found in rural settings, around farming settlements and streams. ▲ This is the finished model I came up with. The supports are printed upside down as textured logs, and the planks are slotted in to place until you have your desired length of bridge. Each textured plank section is 80mm long and features two rough-cut planks laid side-by-side (to help balance 25mm-based models). The planks even have a slight bend to them too! 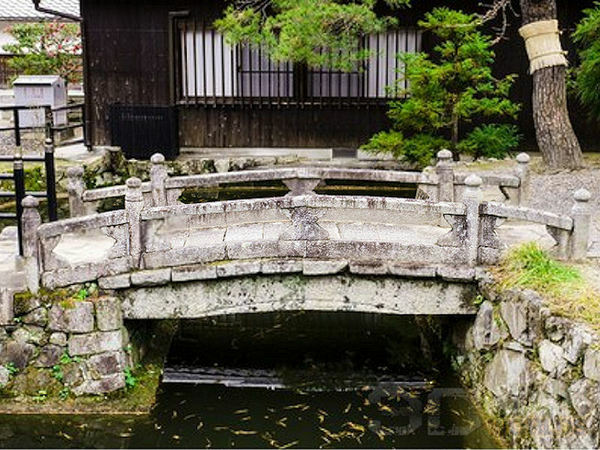 ▲ The second bridge version is this medium-sized stone bridge, typically found in towns, castles, shrines and gardens. ▲ .... and here's the version I modelled! It has a total length of 160mm, and is printed in two main parts. The finial knobs are printed separately and glued on top. 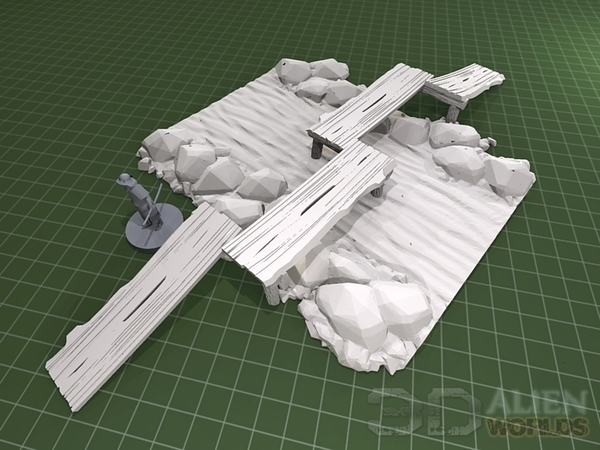 -which means that the main bridge parts can be printed without supports. This bridge features detailed stone textures, which should work great with a simple black/brown wash and then a drybrush. 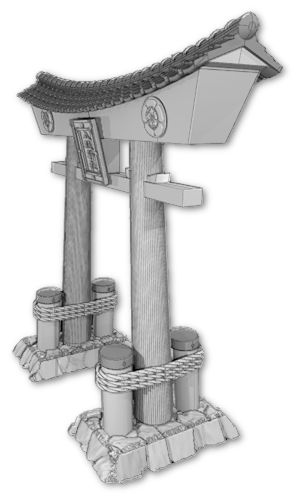 It also includes an optional bridge support, which can be used to help support the weight of the bridge if you wish. You simply cut the leg length to fit the depth of your river or canal. 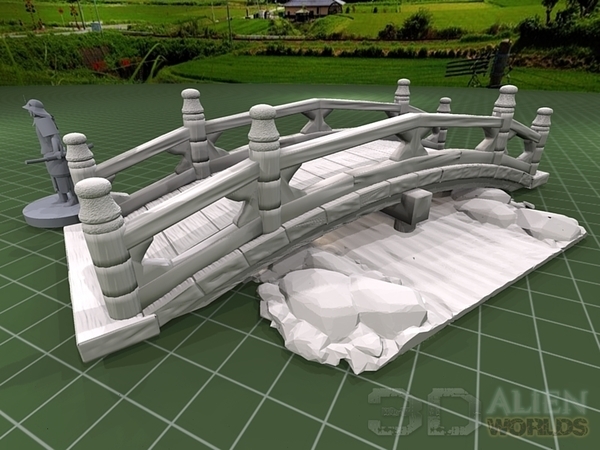 Two more bridges are also coming soon.... a small ornamental wooden bridge and a much larger wooden bridge for roads. Stay tuned for more! Well done! These look great.